This unique design is created and shared by TOM STANICH from MC&A, 269 PAPA PLACE BAY 20, KAHULUI, HI 96732. I love how the lanterns were hung on the bamboo rods. 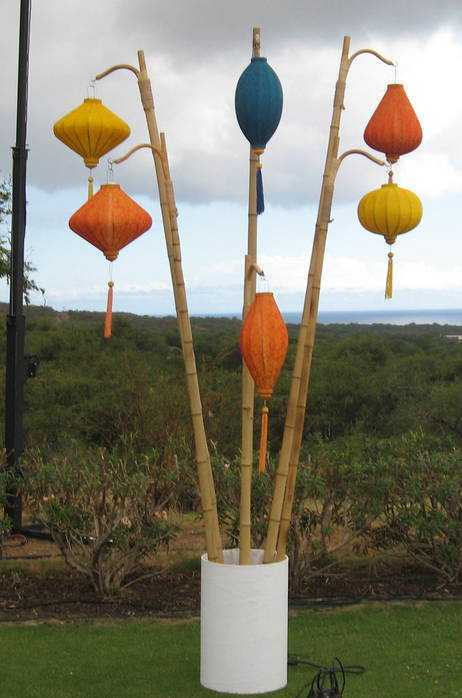 Great design to hang the lanterns outdoor.